After one week of the NFL season, things don’t seem to have changed too much from last year in the AFC South. Peyton Manning and Indy’s offense were explosive on Thursday’s opening night as they won 41-10 with 452 total yards over the New Orleans Saints. More importantly, the Colts defense only gave up 293 yards highlighted by only 106 on the ground. The Titans were able to squeeze by Jacksonville 13-10, largely because of Chris Browns 175 yards rushing on 19 carries. 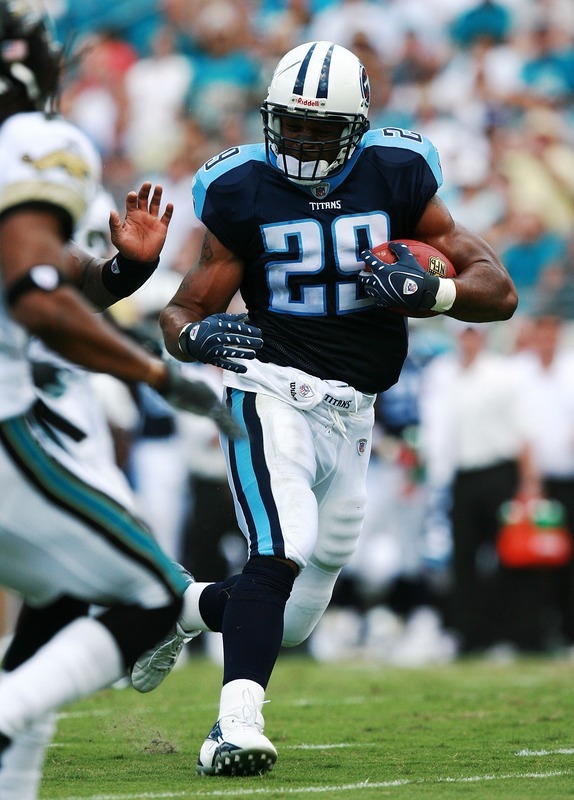 The Titans ended up with their 2nd highest rush yard total in franchise history with 282 yards as LenDale White and Vince Young chipping in with 66 and 22 respectively. The deciding factor of this game was clearly the running game, as Jacksonville was limited to only 72 yards. These facts are showing how with every passing game, the value of having a dominant Running back(s) is increasing immensely. Finally there were the new and improved Texans. 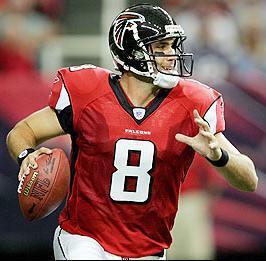 So far it looks like Matt Schaub is the answer for them. His stat line wasn’t spectacular as he was 16-of-22 for 225 yards with a touchdown and an interception, but he was able to connect with Andre Johnson who had 7 rec. for 142 yards and a TD. Ahman Green was mediocre rushing the ball (16 carries for 73 yds), but did what he had to do none the less. 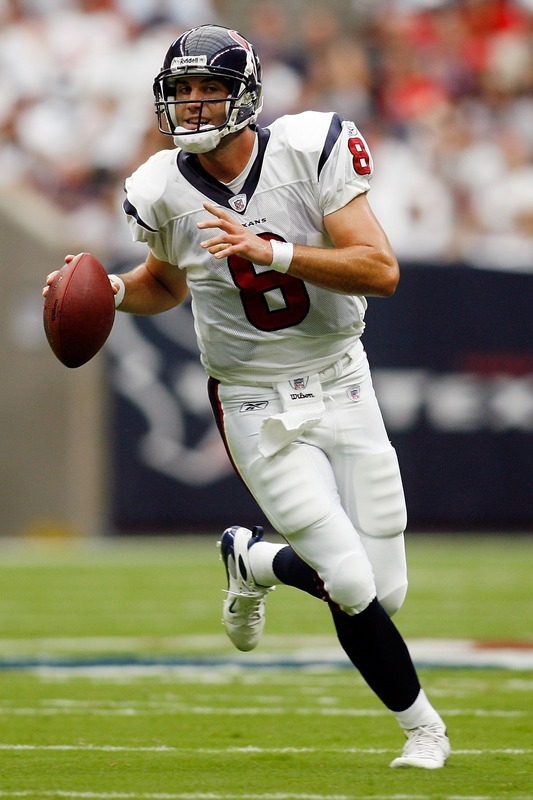 After this busy Sunday, I think that the Colts main concerns rooting from their division are Chris Brown, Vince Young (for having something to prove in his sophomore season), David Garrard( who knows he has to pick up the pace to fill the shoes of Byron Leftwich), and finally Matt Schaub, of who seems to be fitting in nicely with the Houston offense. After an amazing performance against the New Orleans Saints, the Colts have more then a week to prepare for their division foes, the Tennessee Titans. Though Thursday the Colts had a lot to prove, next weeks game will be just as important as it is 1 of 6 division games this season. 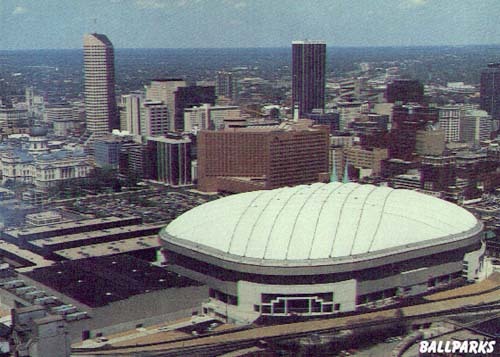 Indianapolis has the upper hand for having played on a Thursday, as they will have plenty of time to watch some film, and obviously, watch their division rivals face off. Yes, the Colts have made easy work of their AFC South division in the past few years, but every team in their division is a definite playoff contender. 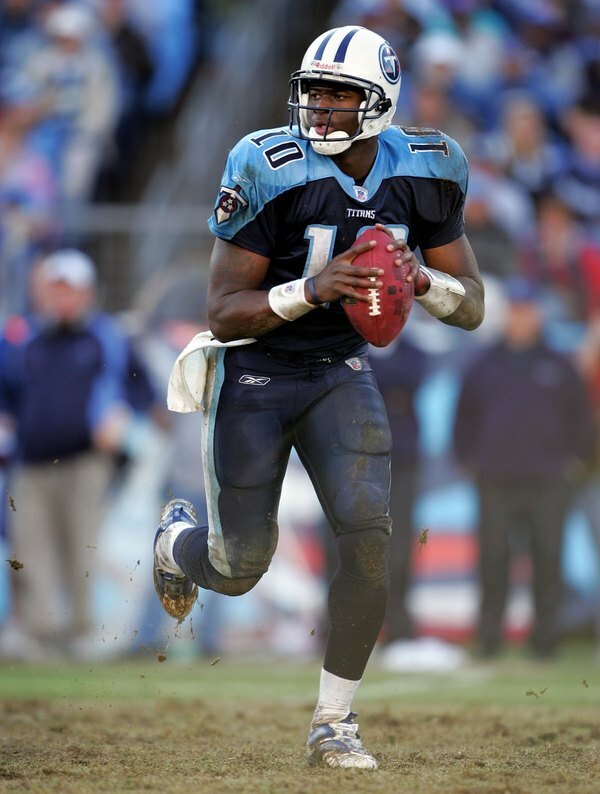 Starting with the titans, Vince Young has to show the NFL that he can avoid a sophomore slump, and LenDale White has to prove that he can be a steady starter at the running back position. Last year the Titans made it very interesting down the stretch winning 6 straight at one point, and finishing one game shy of the playoffs. It was a heartbreaking end to a surprising season for them but 8-8 is better then 4-12 and 5-11 (their marks from the previous 2 seasons.) The Titans are in a somewhat similar boat as Indy because they lost some key players in the off season such as their running back Travis Henry and their two most productive receivers Drew Bennett and Bobby Wade. T he 2008 Titans will have to rely on youth, just like the Colts, which almost doesn’t seem like a really bad thing after watching the Colts win 41-10 on Thursday. 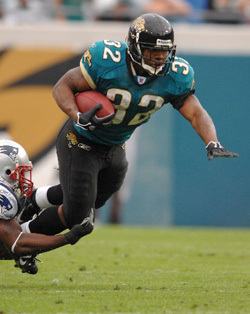 As for the Jaguars, everyone wants to know if this is the Jaguars team of 2 years ago, or the Jaguars of last year. We will find out on Sunday when they face off with the Titans. 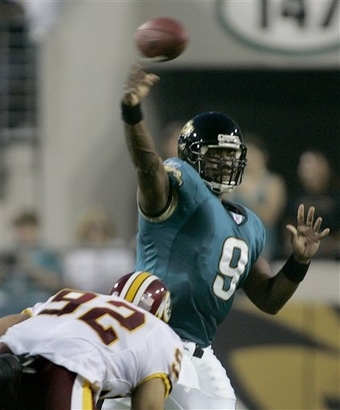 This game might determine the future of Jags coach Jack Del Rio, who hasn’t won a playoff game in 4 years. This is probably the game that the Colts will be watching because of the fact that its an AFC South match up but as well because the Jags have beaten them the past 2 years. As for the final team in the AFC South, the Texans, their have been alot of changes. They have a new coaching staff, a new Running back in Ahman Green and a new QB in Matt Schaub. This could be the answer to their offensive woes, and it is not out of the question for the Texans to have a winning record. 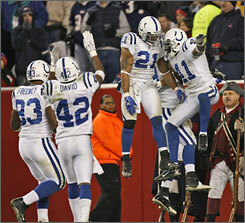 On the NFLs opening night, the Indianapolis Colts gave the league a preview of whats to come in this 2007 season. Matt Giordano’s 83 yard interception return TD pretty much summed up the night for Drew Brees and the Saints. Though the first half was very quiet with only 10 points apiece, there was much to talk about. 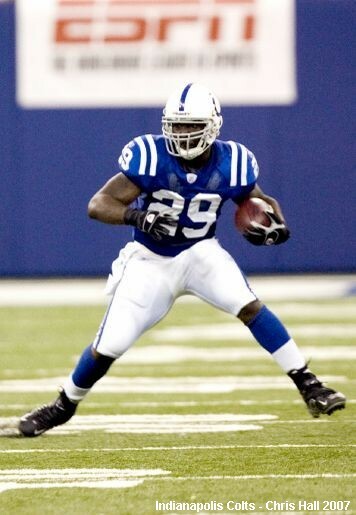 On the very first play of the game, the entire RCA dome was silent as Joseph Addai was on the ground courtesy of a tackle to the chest by New Orleans CB Mike Mckenzie. Addai was temporarily relieved by former CFLer Kenton Keith, who showed that he could play at an NFL type pace. Addai was simply winded and went on to carry the ball 23 times for 117 yards with a total of 142 yards including receiving. 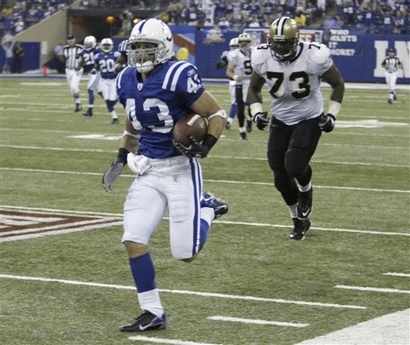 Jason David made his debut with the Saints and his first return to Indy, and was lit up by the colts dynamic receivers. David was the producer of the Saints only TD stripping Reggie Wayne of a second quarter completion, which he then ran 55 yards. When Peyton Manning was asked if they were picking on him he replied “We don’t do that, we had the right calls at the right time. With Marvin and Reggie, you’re always going to throw it to those guys. If you have a good day, they say you’re picking on one guy. We really don’t do that.” There was not much to talk about on New Orleans behalf as it was a night to forget for Brees (throwing for 192 yards and 2 interceptions), Reggie Bush (38 yards on 12 carries) and McAllister (39 yards on 10 carries). 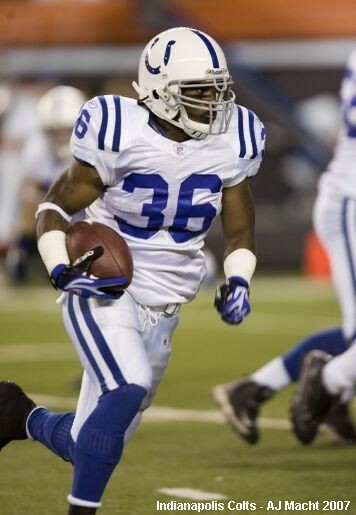 Bob Sanders’ presence was strongly felt by the Colts, as the Saints only had 299 total yards with quite a few coming on their last drive when they were already down by 31. The second half was textbook Peyton Manning. 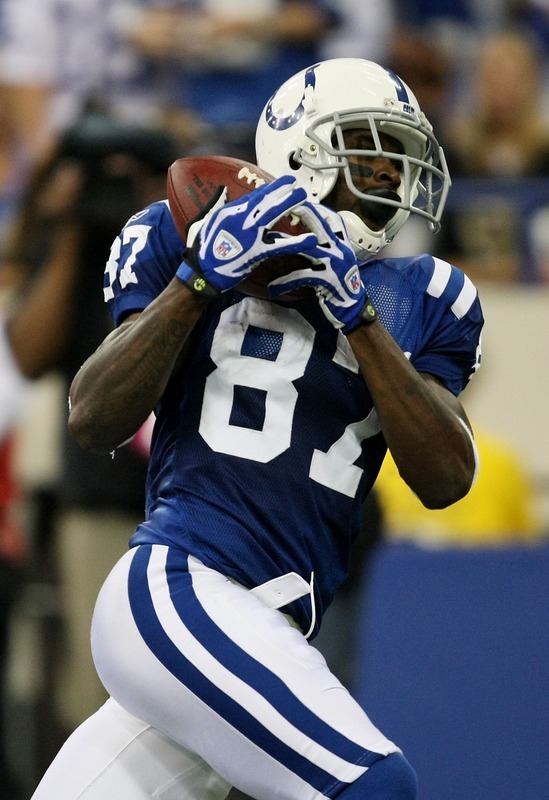 The Colts had 31 points alone , and Peyton used his familiar targets Reggie Wayne (who caught 2 TD passes), Harrison (1 TD pass), and Joseph Addai. Dallas Clark chipped in with 2 key receptions for 48 yards. When talked to after the game Tony Dungy said that “NFL games are 60 minutes long. We were a little out of synch in the first half. They played us defensively a little different than we thought. We knew we had to run the ball a little more.” As much as it was great to see that the offense was still dominant as usual, I think the most relieving thing to see on the Colts part was how well their defensive relief players played. Hayden and Jackson were solid, as sophomore Marques Colston was limited to just 48 yards on 6 catches. Freddy Keiaho was very solid as Cato Junes replacement with many important tackles and a fumble recovery, and Tony Ugoh played outstanding as well and was a main factor in Addai’s success. 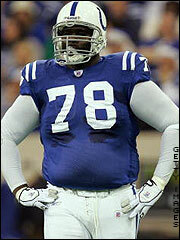 The Colts proved my point that young/physique type players can step up and play as good as experienced players. I think tonight we all witnessed a Colts team that if stays healthy and consistent can be as good, if not better then they were last year, and I am making an early prediction of another 12-4 season and at least an AFC South division win. The NFL has gone a long way since its opening in 1922. We have seen a large amount of changes in technology, creativity in the playbooks and especially physique amongst the NFL players themselves; even more so in the past decade. Lately it seems like players have been able to use their experience from their past to step up in the NFL and make an impact for their teams as soon as they step onto the field. Looking forward to tomorrows commencement of the season (New Orleans Saints vs. Indianapolis Colts RCA DOME, Indianapolis, Indiana 8:30pm ET, NBC) The Colts will have to hope that their young Defense will be able to contain players such as Reggie Bush, Deuce McAllister, Drew Brees and rookie sensation Marques Colston. Many of the defenders on the Indy defense have rarely/never started a game in their careers which brings up many questions… Can youth and physique go as far as experience?.. 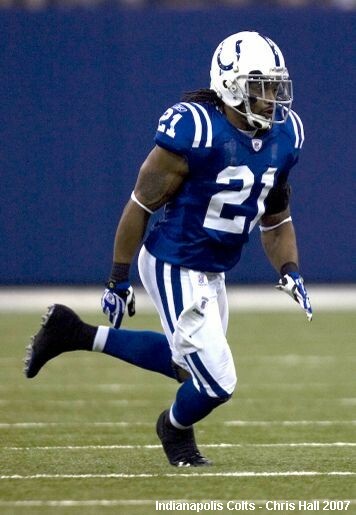 will Bob Sanders make the same kind of impact he made in their Superbowl run? 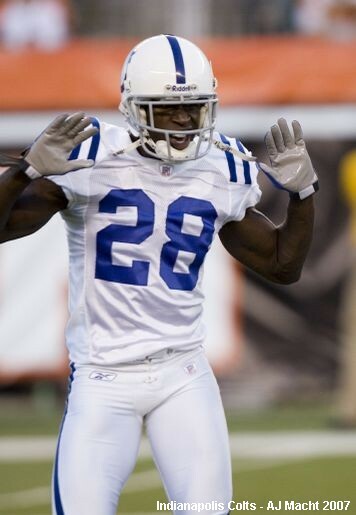 Indianapolis’s offense lost a few key players such as Tarik Glenn to retirement, Brandon Stokley (DEN), and Dominic Rhodes (OAK), but there bigger problem was there losses on defense with players like Cato June (TB), Nick Harper (TEN), Gilbert Gardener (TEN), Mike Doss (Min), Montae Reagor (PHI), Anthony Mcfarland (injury), and oddly enough, Jason David to (NO) who will make his team debut against his former team tomorrow. Indy is filling these holes with young players Freddy Keiaho, Kelvin Hayden, Marlin Jackson, and Antoine Bethea who started last year due to the season ending injury of Mike Doss. Though there new defense is more young and physiqued then experienced, they still have Gary Brackett and Rob Morris to help out Keiaho and Bob Sanders to help out Hayden and Jackson. Peyton’s production will most probably increase due to the loss of pressure,but he might have an even tougher task as the Colts look to become the ninth team to win consecutive Super Bowls. 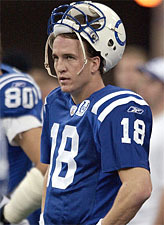 I am predicting a 35-21 Colts win, as even though New Orleans has a new coach and is quite different from the last time these two teams faced off, Peyton Manning was 20-of-25 for 314 yards and a career-high six touchdowns in a 55-21 win on Sept. 28, 2003 at the RCA dome. 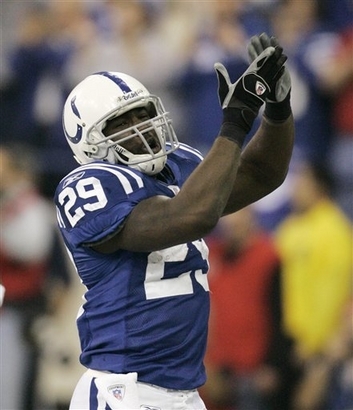 Key factors in tomorrows match will be the play of Peyton and the Colts run defense against Bush&McAllister. 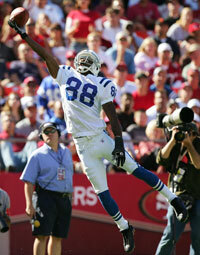 Is a repeat out of the question for Peyton and the Colts in 07/08? It seems like it was only yesterday when Peyton Manning hoisted the Vincent Lombardi trophy for the first time of his career. 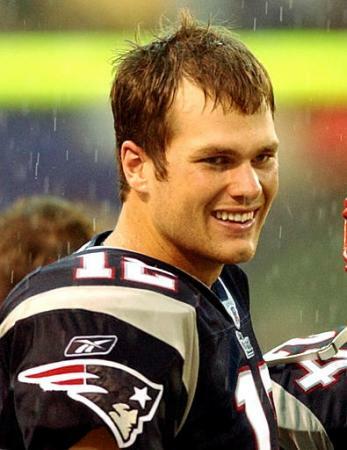 You could see in his eyes that he knew he got the monkey off his back, but at the same time, he would have to win a few more to certify himself as a true legend in the NFL. Peyton had received a ton of criticism for getting so much credit throughout his career without finishing off the task. Most people have the mindset that it doesn’t matter how many yards or touchdowns you throw for if you’re not gonna bring it home. This may be true, but at the same time people don’t realize the relationship, comfort and perfection Peyton Manning has established with all of his teammates, especially his receiving core like Dallas Clark, Reggie Wayne and especially Marvin Harrison. Though this could prove harmful to many teams without depth at the receiving area via the double coverage, Peyton and the Colts offense have so many weapons that it is sure to be a non factor for them. That is where the Colts differ from teams like the Patriots. Most people think that New England is going to blow out the league (which very well could happen) , but Tom Brady is having to work with 3 receivers that he has never worked with, which could prove costly. The Colts know that they are strongly fortunate for winning Superbowl XLI as a repeat in 2007 will require consistency on offence, young players to step up, and the mentality/confidence in each other that they can do it with all holes left in the Defense.